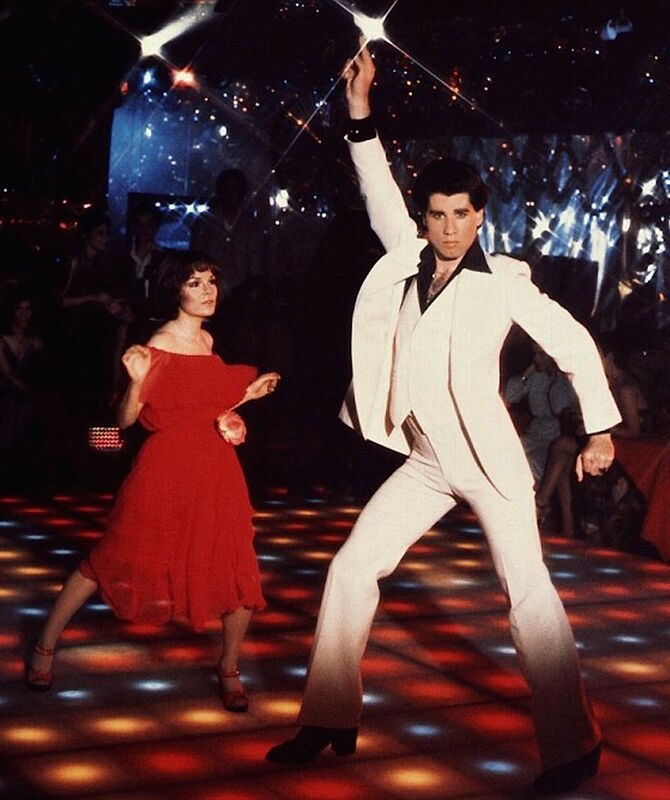 John Travolta and Karen Lynn Gorney in an iconic promotional image for Saturday Night Fever (1977). In the film itself, Gorney wore a white dress rather than the red of the poster. “We shot me in every color dress under the sun… Red sells. I think that’s why it was used for the poster,” she explained in a 2011 interview with Media Mikes. December is here, and while you may not be in the mood yet for that “bold” Christmas sweater with working lights (these exist! ), a nice warm long-sleeve polo in a reddish, rustic shade is the perfect layer for transitioning from the fall harvest season into the chilly first weekend of the holiday month. Today’s Mafia Monday post explores one of the many delightfully idiosyncratic characters from the wonderful world of Elmore Leonard. 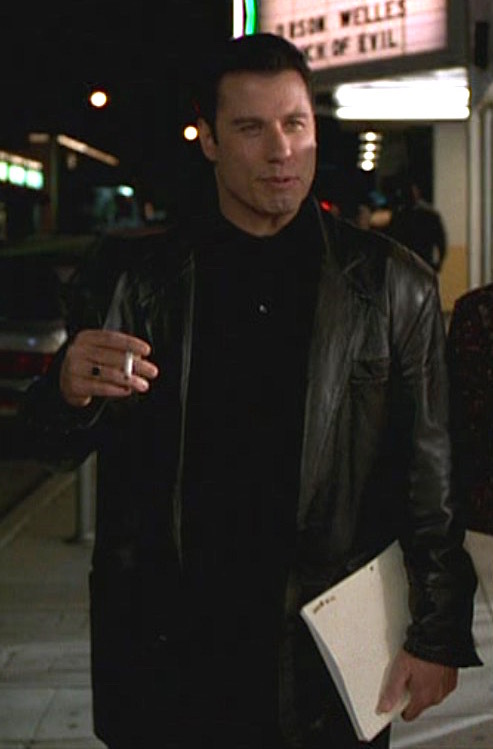 John Travolta as Vincent Vega in Pulp Fiction (1994). With Halloween around the corner, I’m revisiting one of my favorite Halloween costumes: Vincent Vega in Pulp Fiction. It’s a great chance for a couple’s costume, whether your significant other is a Mia or a Jules. 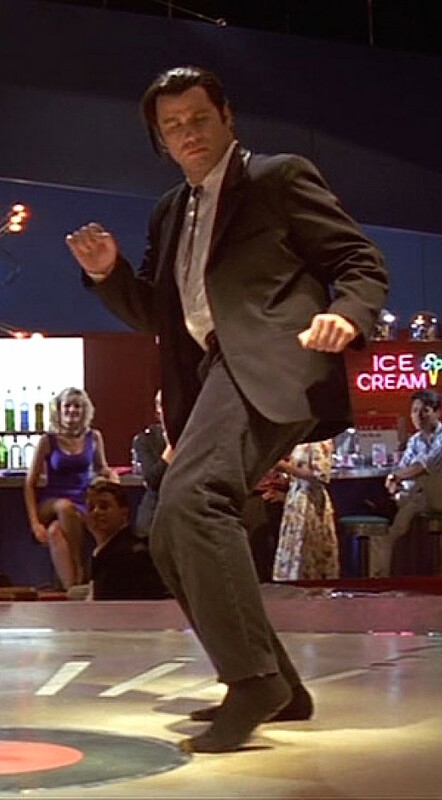 Pulp Fiction‘s colorful, sprawling cast of characters and famously non-linear timeline makes Vincent an even more interesting character when you realize that he is the only one to appear in each segment of the film. 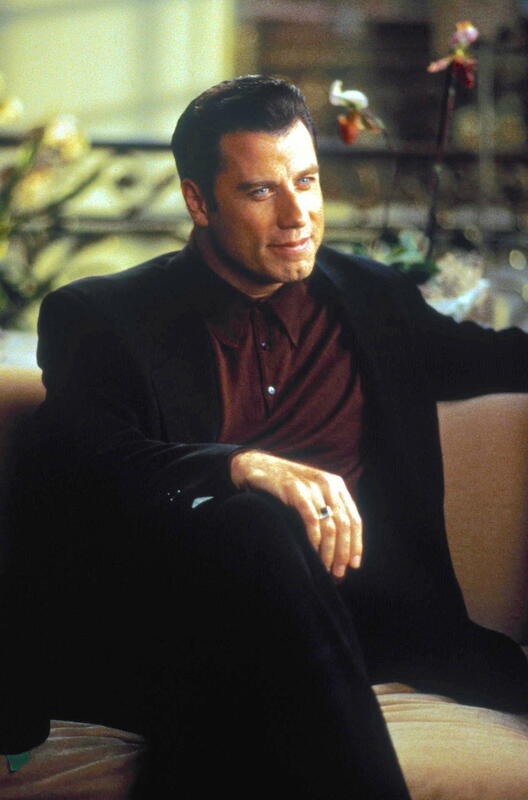 The role marked a rejuvenation for John Travolta, whose career had gone stagnant during the ’80s with the only real commercial success coming from Look Who’s Talking. Established and rising actors including Alec Baldwin, Daniel Day-Lewis, James Gandolfini, Andy Garcia, Michael Keaton (aw! ), Gary Oldman, Jason Patric, Sean Penn, Tim Roth, and Denzel Washington had all been either interested in or considered for the role, and even Michael Madsen would go on to regret not reprising his Vega brother role when offered.